This week on DC Music Rocks, Laura and Jay from Brave Like Us, stop by for a chat with host Brian Nelson-Palmer. The episode also features great tracks by Black Masala, Louisa Hall, and Cat Janice. Highly sought after bassist, Jay Brazao is a self taught musician and songwriter. He writes entrancing melodies on the bass as if it were an extension of himself. Former member of Rome In A Day, Jay is a Massachusetts native now residing in the DC area. Singer/songwriter Laura Farrell has a unique and powerful voice. Her vocals have been compared to Sarah McLachlan and Joan Jett. She is also classically trained on the violin. Laura is a former member of The Yard Slippers, Big Honey, and Rave Parade. It's the fall fund drive at WERA 96.7 FM and Arlington Independent Media. This is the station which the live version of our show is broadcast on! You tax deductible donation goes to support community radio which in turn supports our community! Could you skip a Starbucks this week and send that money to the station instead? Do a picnic date instead of a dinner out and share that amount? Has the station touched your life in a positive way? Click below or visit the station's website at wera.fm to send your support! Here’s just a few highlights for the coming week, be sure to check out the calendar for the full list of all the upcoming shows! Check details before you go in case something changed/canceled! (Hip Hop, EP Release Show, in a cool location! - POSTPONED? (Hip Hop and Rock Fusion, we've never heard of this venue but the band is always a blast to watch, so if you're looking for an adventure to somewhere new, we'd give it a go! Do you like what we're doing? Would you support us? We'd love to grow and do more! There’s little give aways, but for us to evolve this online platform to cover even more we really need funds and support. We're giving away shirts, and more too! Please help if you can! Thanks to, Daniel Hill, the show Coordinator for DC Music Rocks & Taylor Thomas, DCMR's PR/Social Media/web content rock star, for hanging out with us in the studio this week! Want to take a tour of NPR? The tours are free and open to the public. If you’re interested, here’s the link below! Listeners we’re reaching out. Have you heard about something DC Music Rocks could be involved in? Interested in hosting a meetup to go see local musician’s shows? Organizations that have similar missions to ours we could partner with? We’d love to hear other ways you have that come to mind, send us a note, we’re looking for other ways to collaborate with the local music community. Creedence Clearwater Revival - "Fortunate Son" - (Cover By His Dream Of Lions) - They made it like a music video, good stuff! Just the one's we talked about on the show, which is just a taste. Don't forget to visit the full calendar to see all the upcoming shows! Atleast 3 interesting/entertaining facts about the band that are related to persons/places/things/events that happened in the Washington DC area. Give us fun stuff, not normal bio stuff! : Daniel's primary car is a 1994 Toyota Camry with 325,000+ miles...bought from another area musician,Bill Holter, guitarist for Vintage #18. YellowTieGuy once performed a festival in Lexington Park MD, where a live tornado touched down 10-15 minutes after finishing our set. Anything else we should know, or you want to share? : Gosh...where do we begin!? Please do read the long bio on our website. We are actively involved in trying to revolutionize the DC, MD, VA music community. We are so grateful for all the support we've received and, there are so many great people that have contributed to us in so many ways, other talented performers we've had the pleasure of working with...We are spoiled and loving it, and we don't take it for granted! Taylor has been involved in the media since she was in high school back in the good ol' state of Indiana! From on screen TV hosting a regional sports show on Fox Sports, to sideline reporting for the Indianapolis Colts and Indiana Pacers & nearly years in the TV Commercial sales - she's seen and heard it all. Taylor has since taken all of her knowledge of marketing, sales, & dealing with people with her to her current career in DC as a Real Estate Agent on the #1 selling team at Compass Real Estate - The Mandy & David Team. 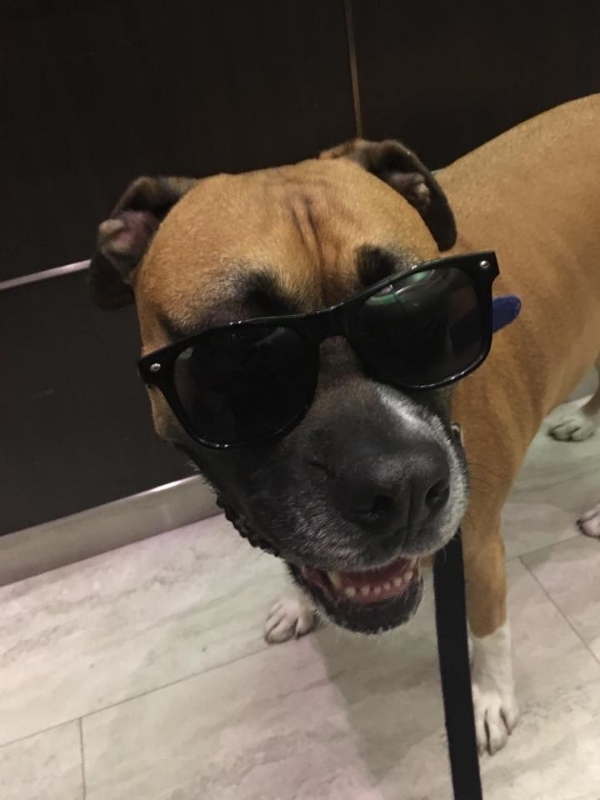 1) I also have the self-proclaimed "coolest dog in the DMV." Our boxer-bullmastif, Murphy, has the biggest personality and I often refer to her as my "furbaby." 2) If anyone knows how big the Indianapolis 500 in Indiana is you might be able to appreciate this one: I was crowned the 2012 Indianapolis 500 Festival Queen & got to give winner Dario Franchitti a smooch on the cheek in the famous "Winners Circle"